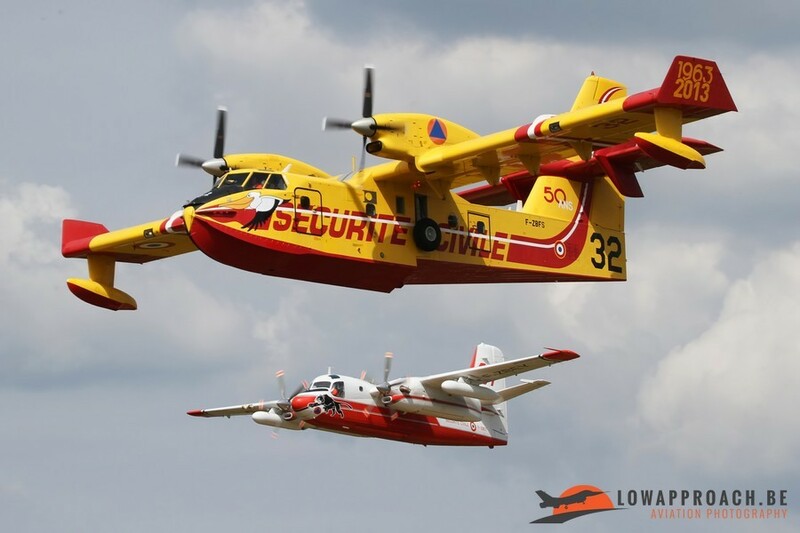 Traditionally the annual airshow at La Ferté-Alais is organized in the second half of May, coinciding with the Pentecost weekend. This airshow is all about traditions, and they have a large number of great traditions that convince me to visit this event every year. 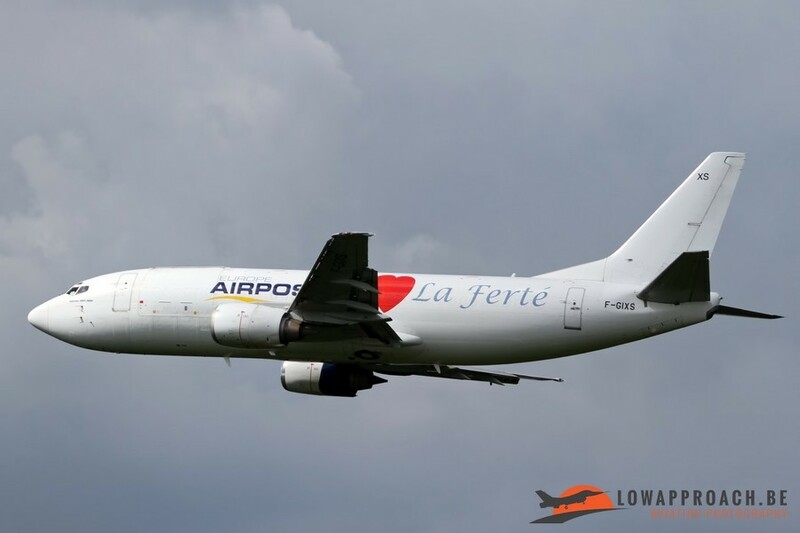 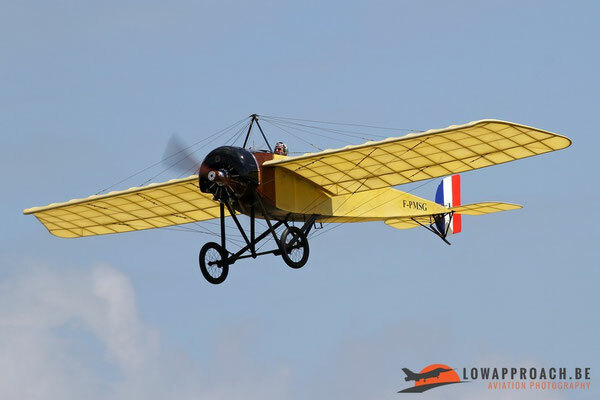 The airfield, located on the top of a hill next to the village of La Ferté-Alais, which is located about 50 kilometers South of Paris. Many people call La Ferté-Alais the 'Duxford of the European mainland' and this quite true as the Jean Salis Foundation has a fantastic collection of historic aircraft. 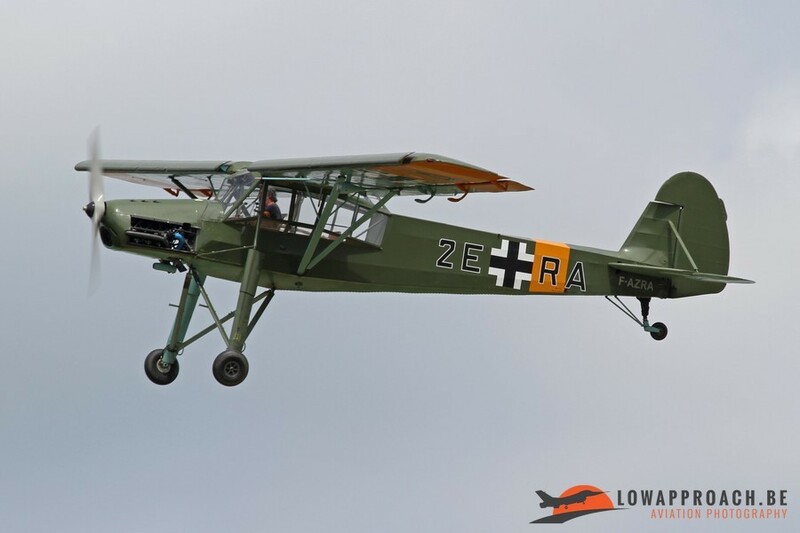 In the morning not a lot of flying activity is going on, but the visitors have the possibility to visit and off course photograph the flight lines filled with rare historic aircraft, this year about 150 aircraft were present. 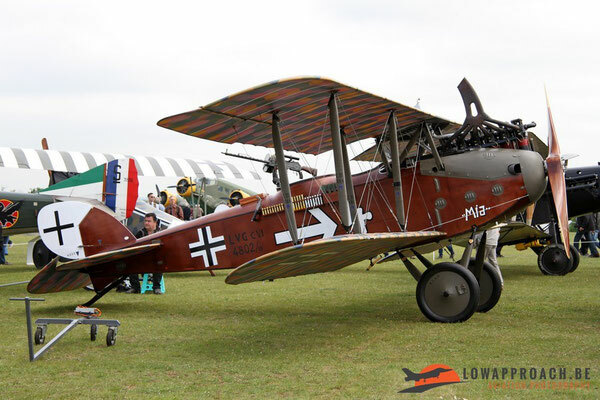 Not often you get the change to have look a World War I-era LVG C.VI German fighter or a Boeing Stearman to name but a couple. All aircraft that operate from the grass field during the show can be seen and off course there is time to speak to the pilots or ground crew who are preparing their aircraft. 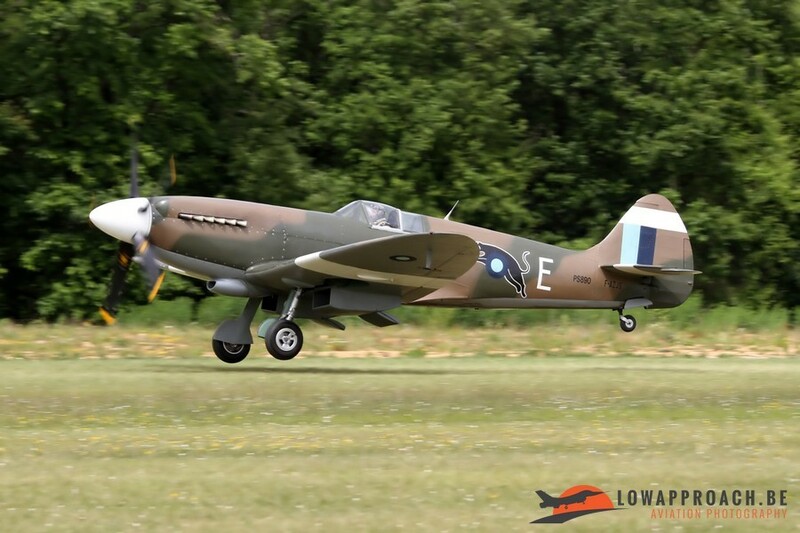 Around lunch time this area is cleared and the flying activity begins. 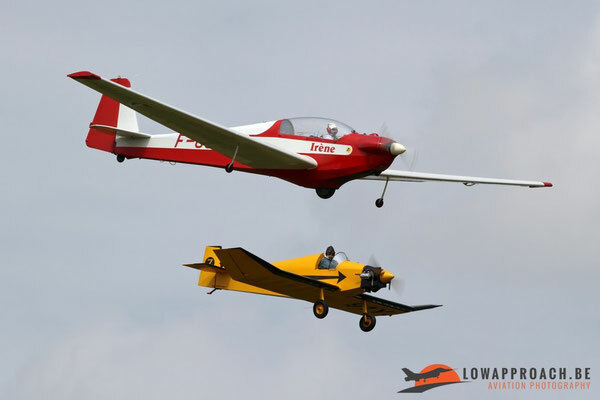 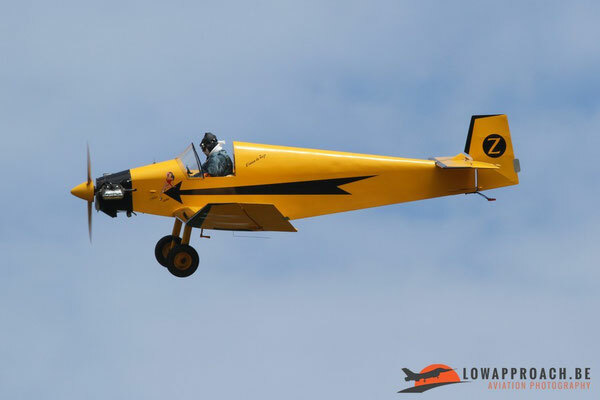 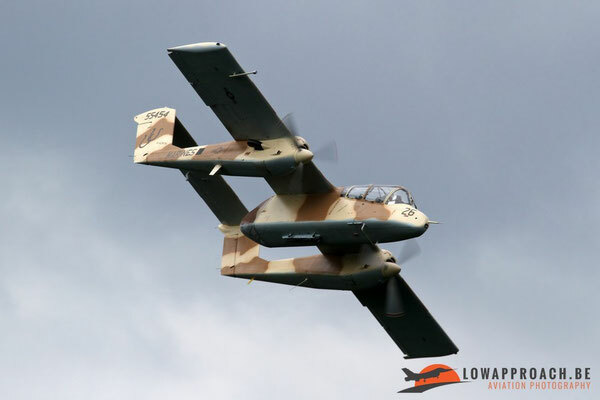 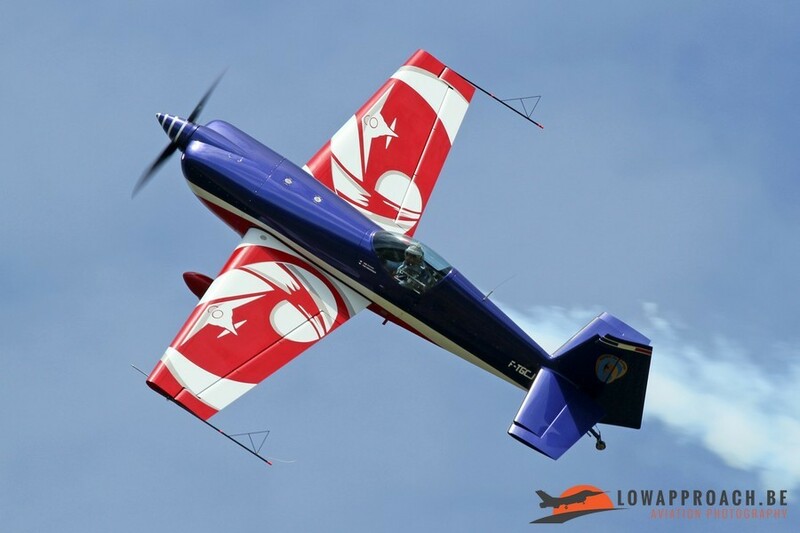 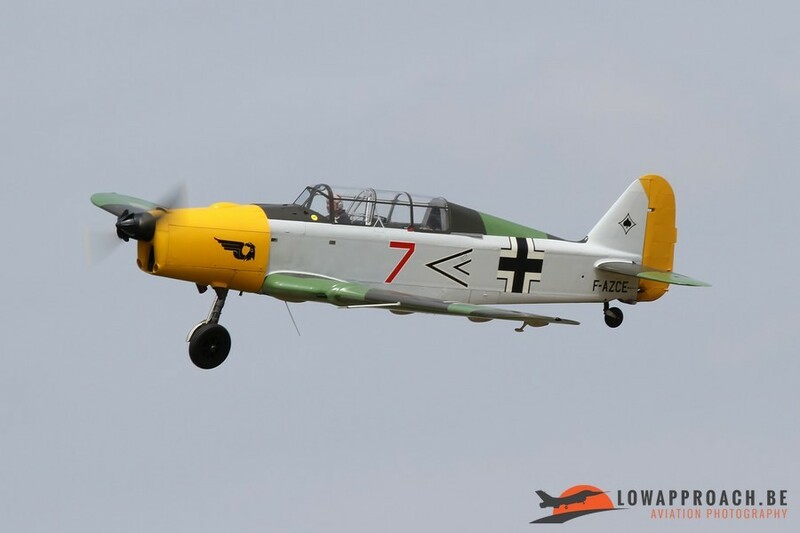 Traditionally the airshow is opened by a formation of a Scheibe SF28A and a Jodel, to commemorate a number of club members who were at the origin of the show and who are no longer with us. 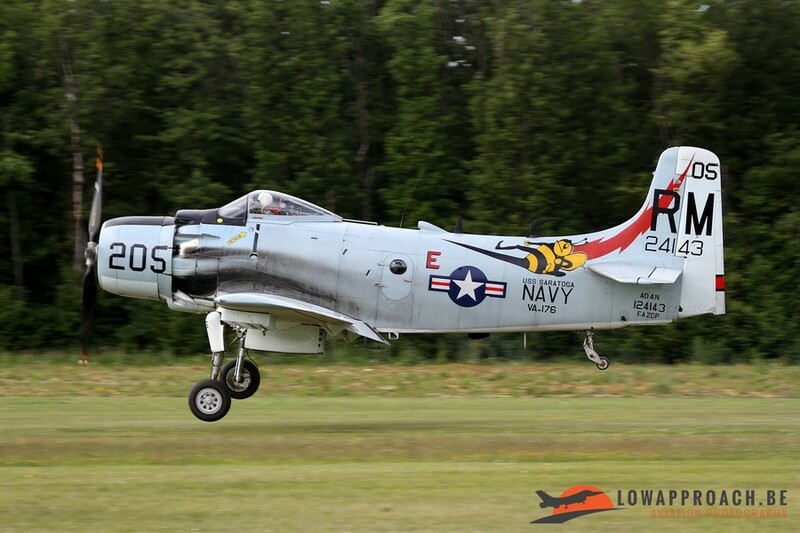 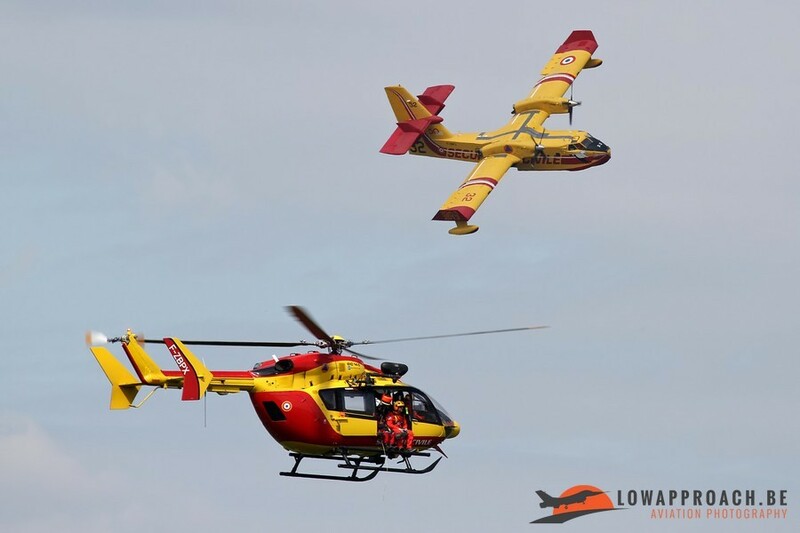 Another tradition from recent years is the participation of the Aéronautique Navale. 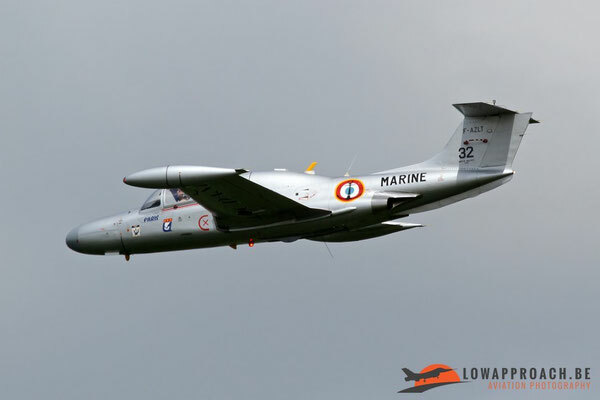 In recent years we saw virtually all front-line aircraft of the French Naval Aviation. This year was no exception when it send a couple of Dassault Rafale Ms. 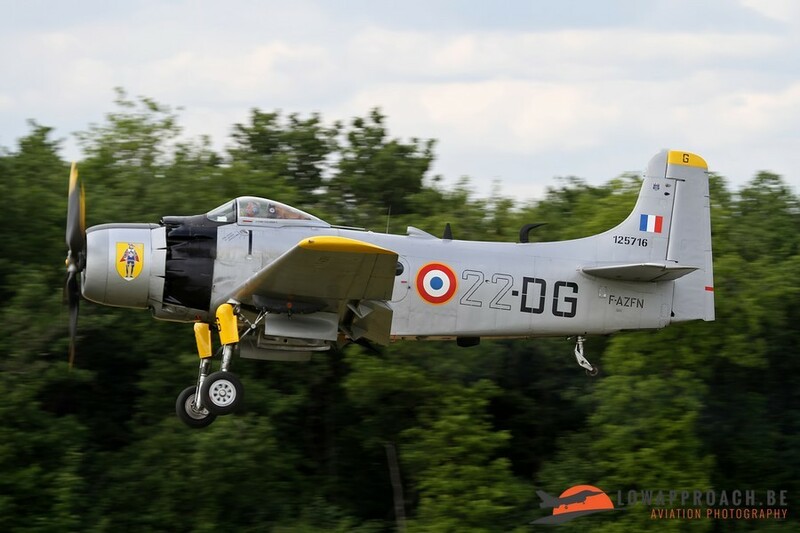 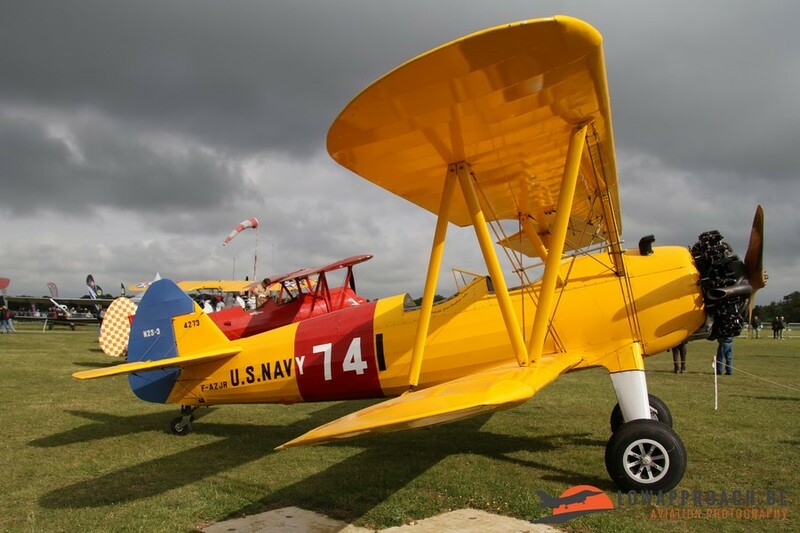 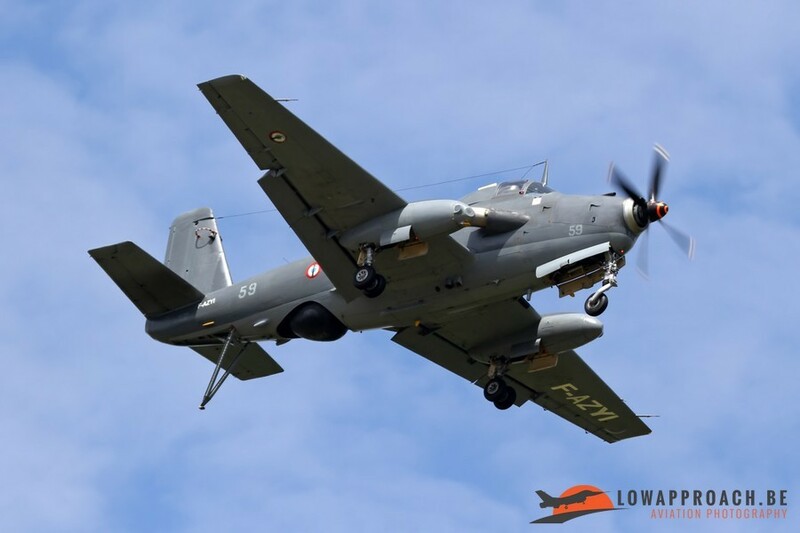 These flew formation flight with two historic aircraft from the Aéronautique Navale, a Dassault-Breguet Alizé and a Morane-Saulnier MS760A Paris. First highlight for me this year was the participation of yet another French government agency, the Sécurité Civile. 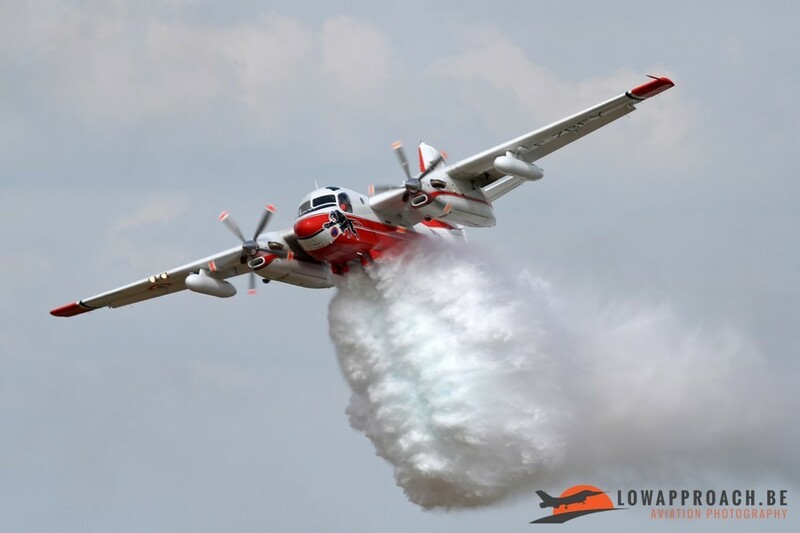 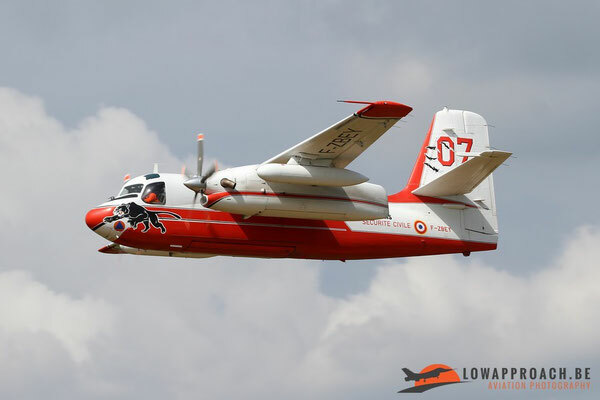 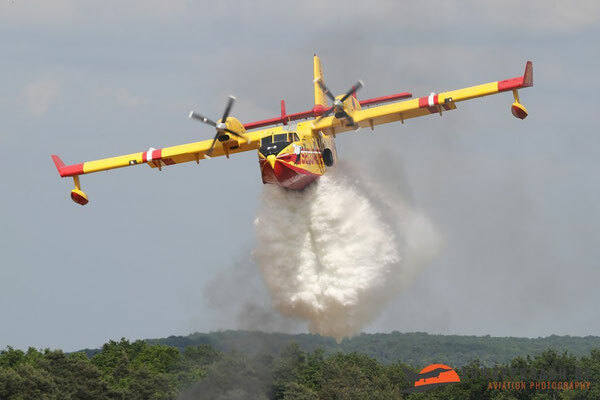 They were present with two of their fire bombers, a Canadair CL415 and a Grumman S2 Firecat. 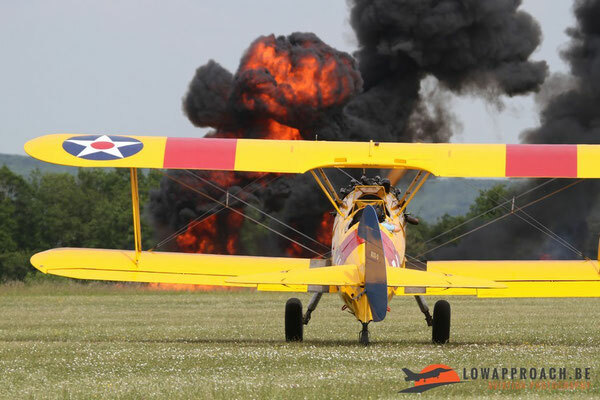 Both aircraft gave a spectacular demonstration of their firebombing capabilities. 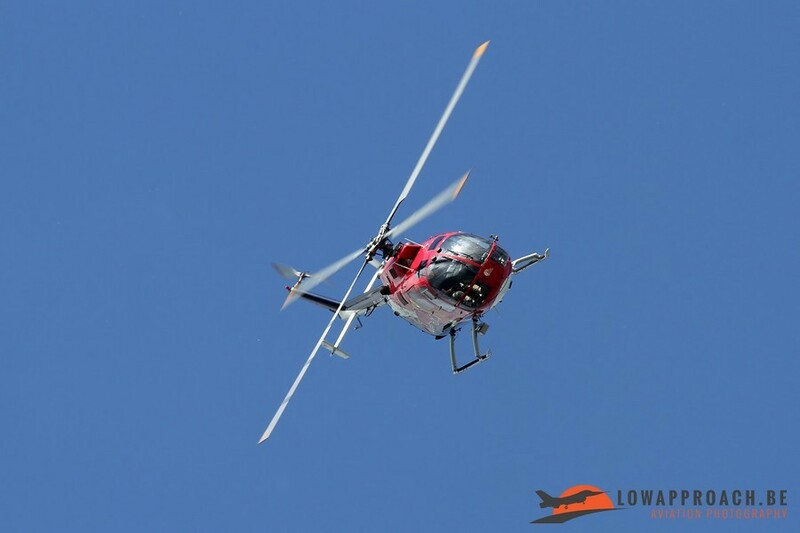 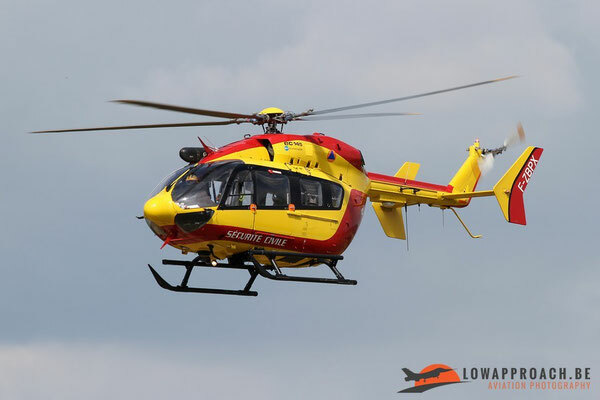 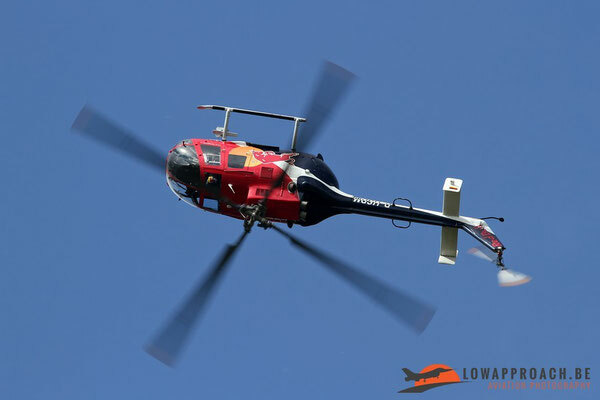 The 'operation' was led from a Eurocopter EC145 helicopter. 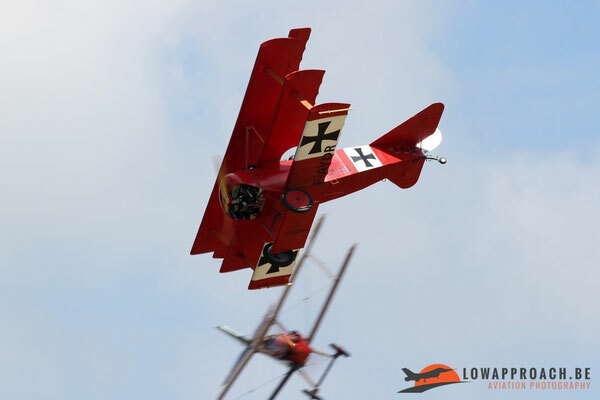 The remainder of the show is build around a number of fixed themes, who more or less follow the chronology of aviation history. 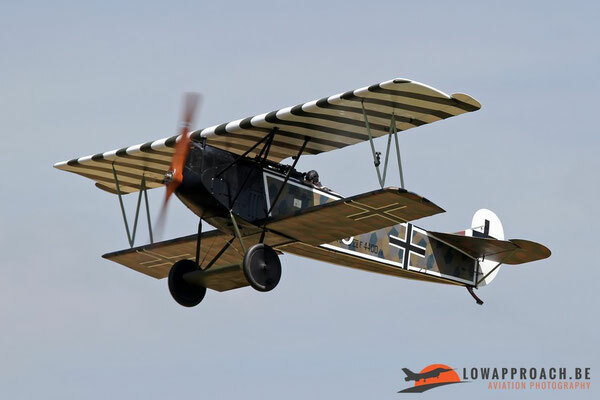 First part is the World War I era. 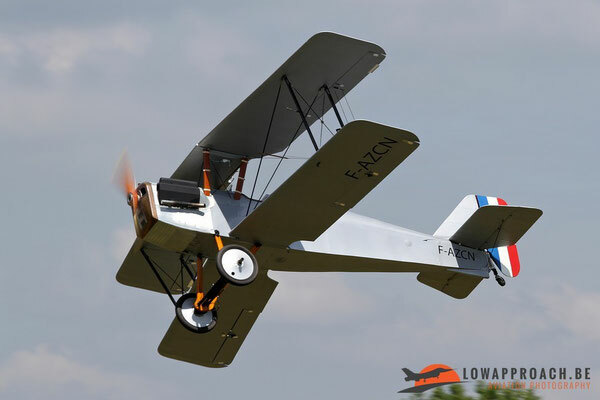 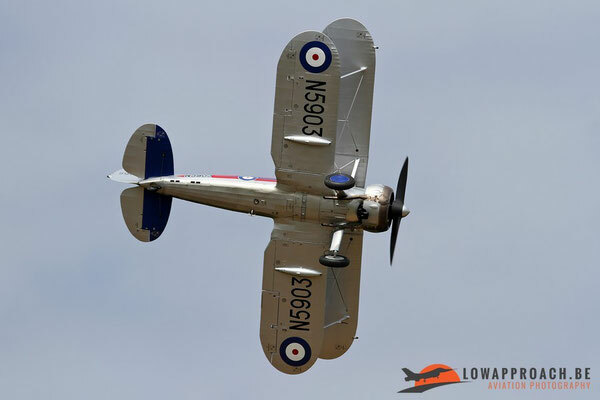 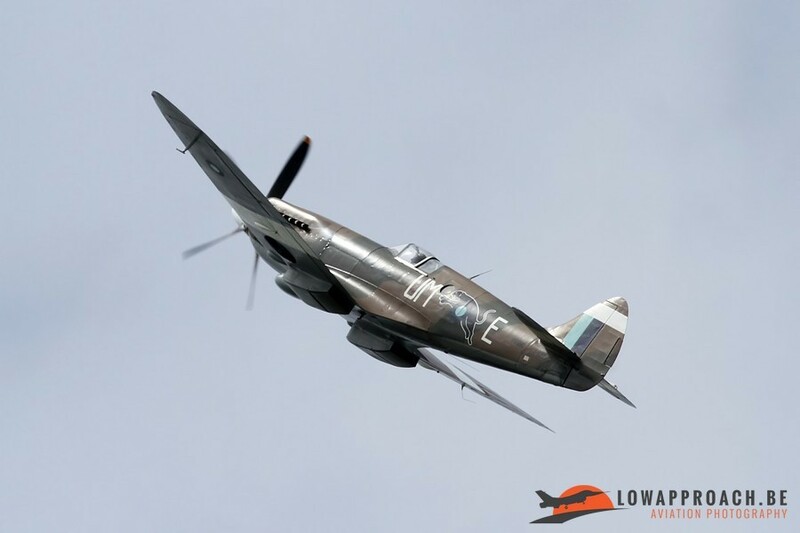 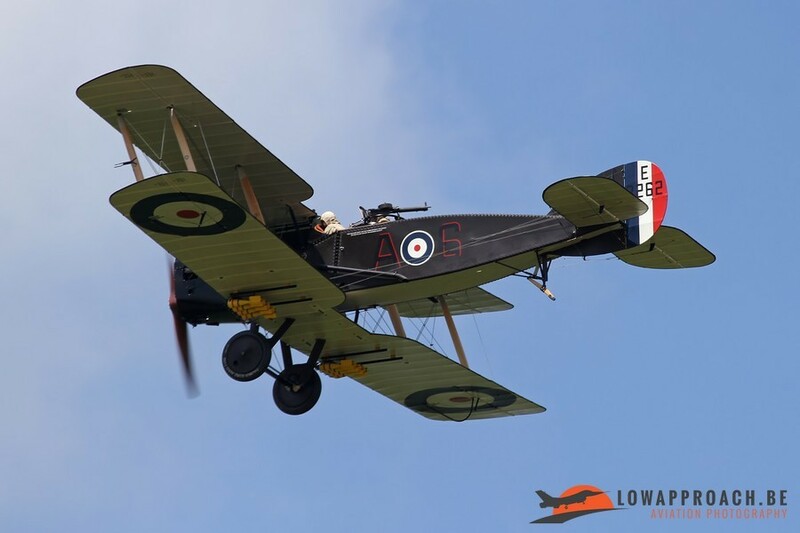 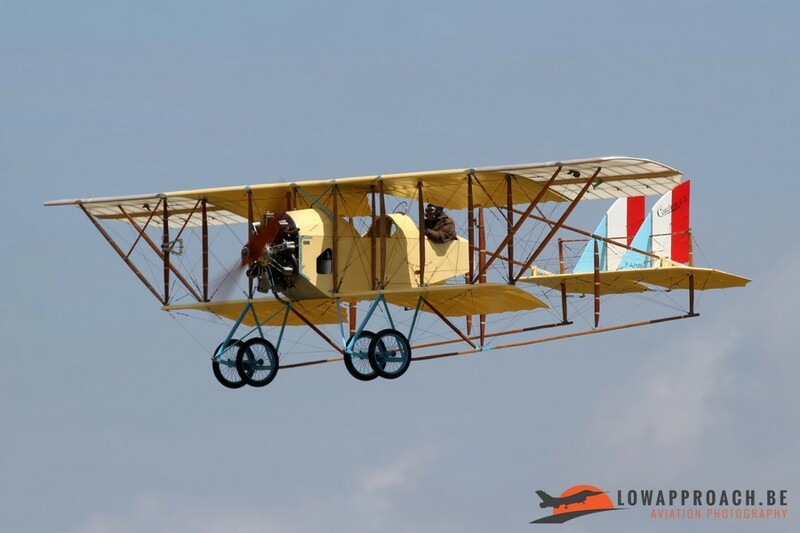 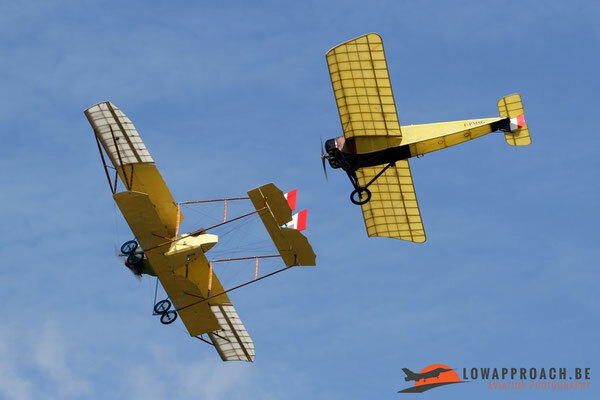 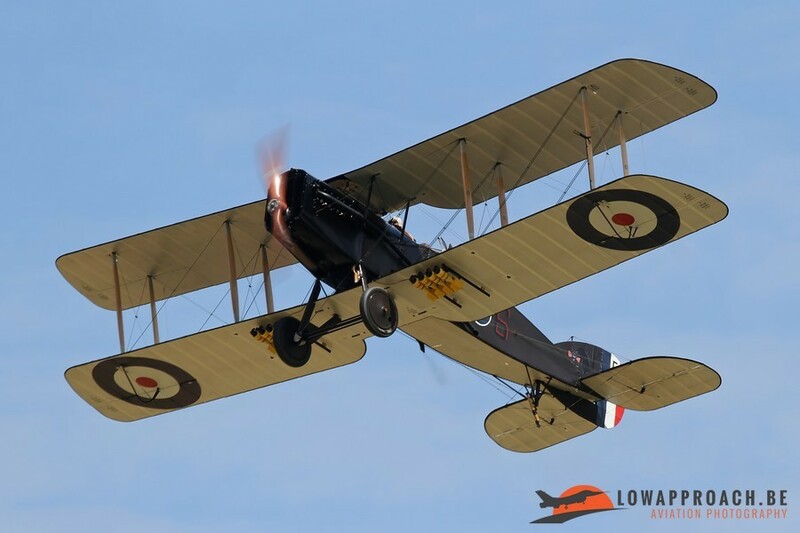 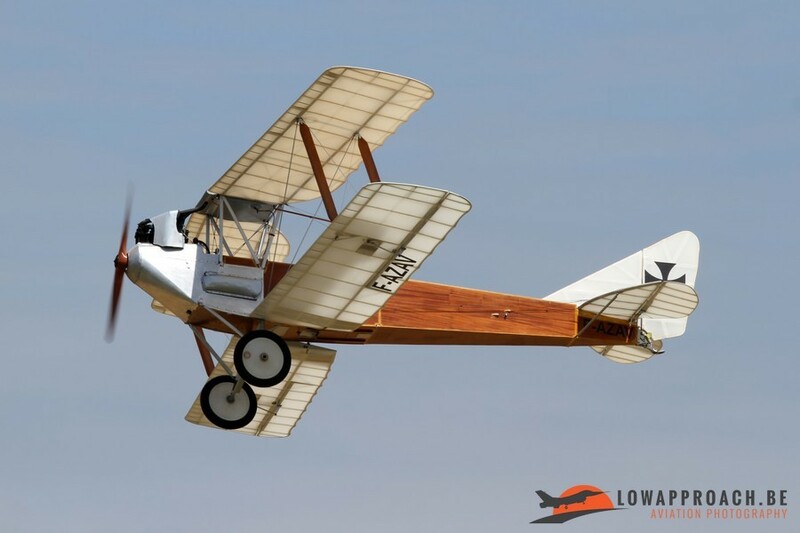 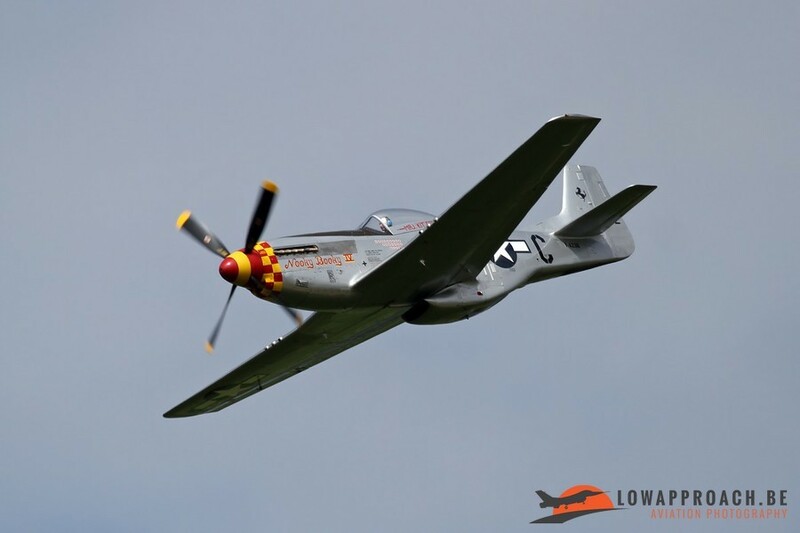 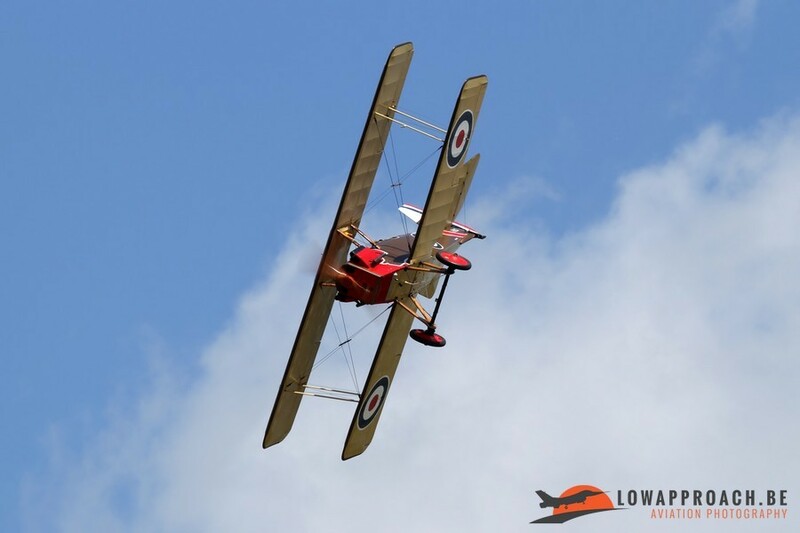 A nice collection of original and rebuild aircraft from this period is launched to give a demonstration on how aerial warfare was done during the early days of aviation. To name a couple of the gems that were in the air I can mention the unique Caudron G.III, which was recently put back in the air after some restoration work to its wings, and the Bristol F2B Fighter. 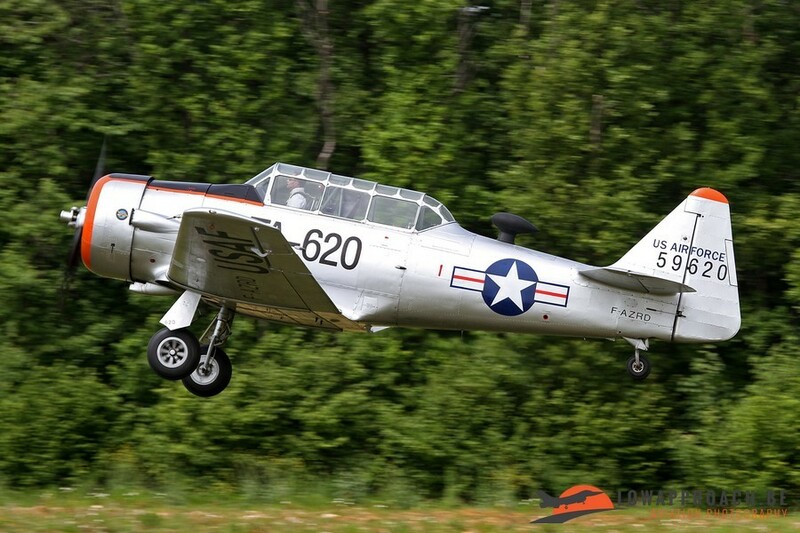 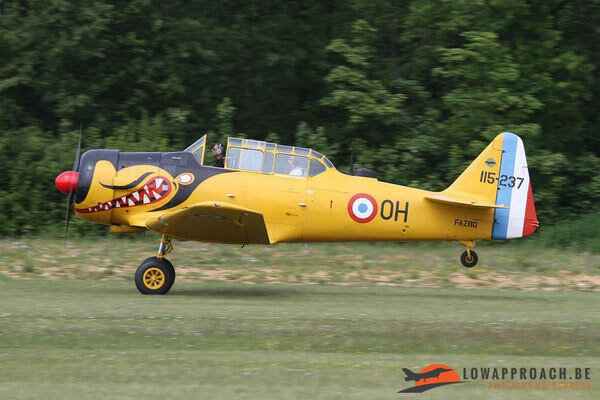 This last aircraft was restored in New Zealand and acquired by the La Ferté-based 'Casques de Cuir' organization in 2014. 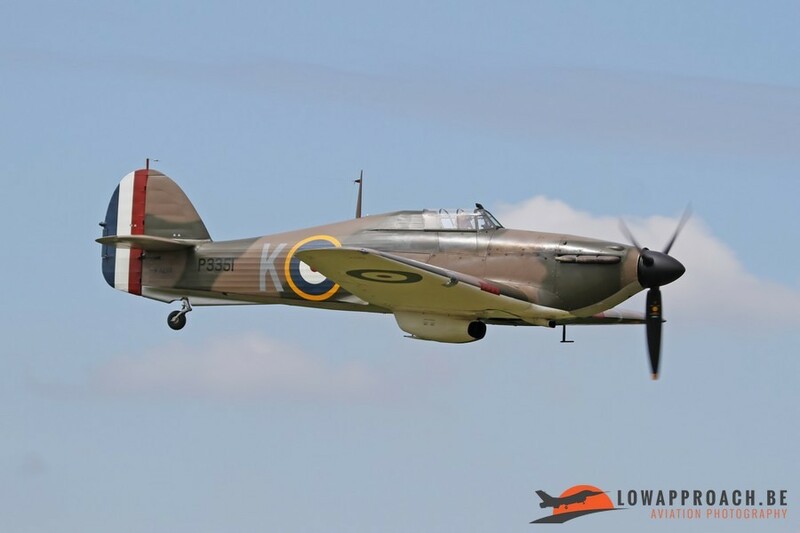 The next major event is off course the Second World War. First chapter is the invasion in Europe by the Germans in 1939. During this part a very rare Curtiss H75 Hawk was displayed. 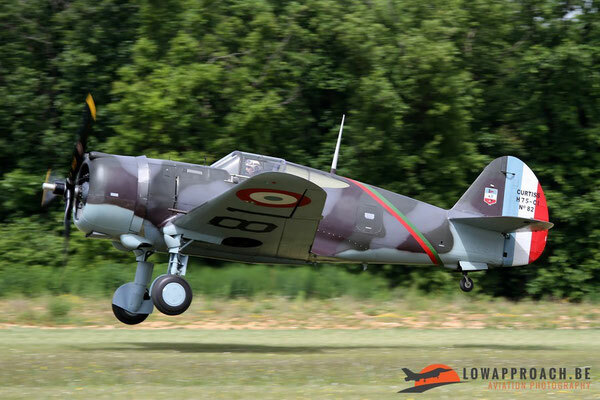 This aircraft is the only aircraft from the 1940 French Air Force in airworthy condition at this moment. 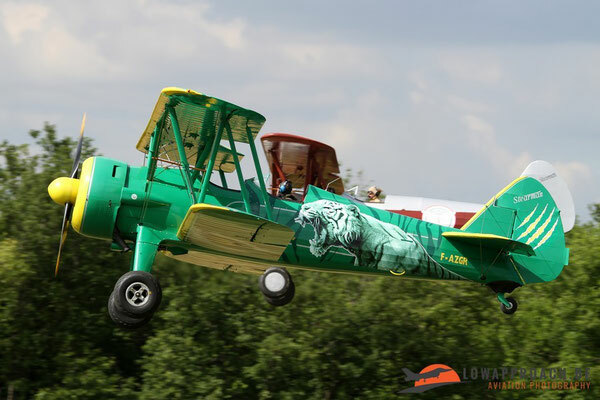 Over many years it was restored by Stephen Grey in the UK and is now a regular participant at La Ferté-Alais. 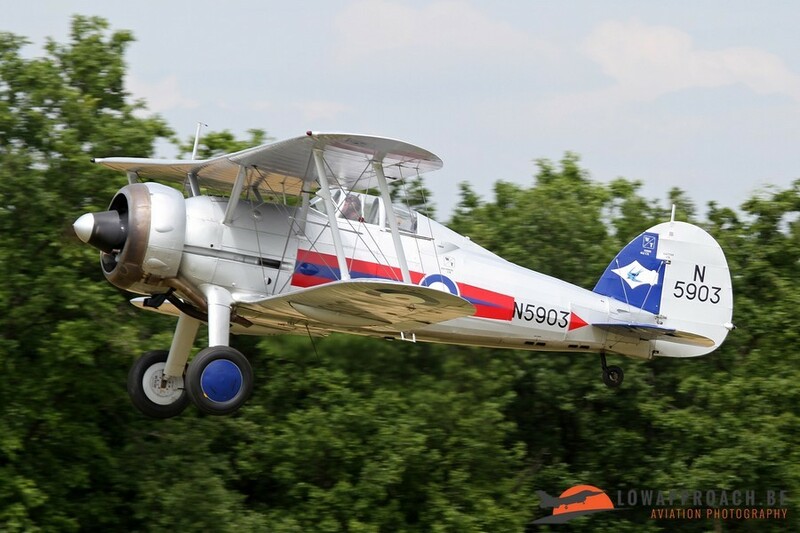 Another Stephen Grey aircraft was the Gloster Gladiator Mk.II, who represented the Royal Air Force based in France during the invasion in 1940. 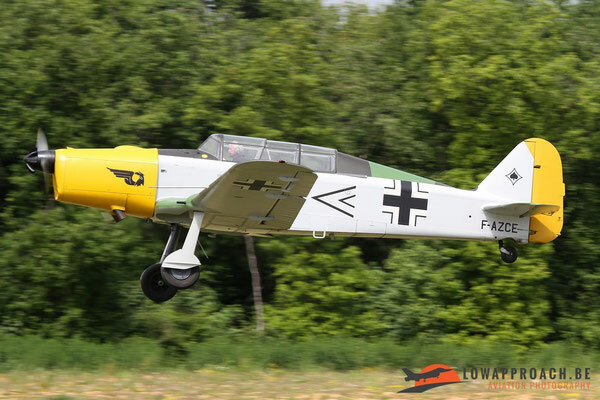 This year no 'real' Messerschmitts, so the role of the bad guy was played by a Pilatus P2. Shortly after take-off the audience quickly noticed that something was not going according to plan, as the landing gear only partly retracted. After a number of attempts, the gear did extend again and a safe landing was made. 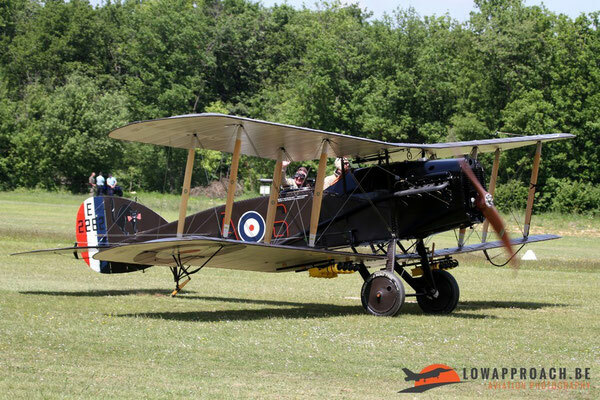 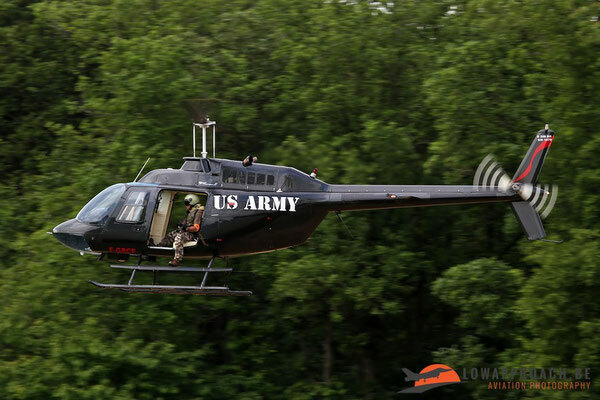 A fine example of the flying skills of the participating pilots ! 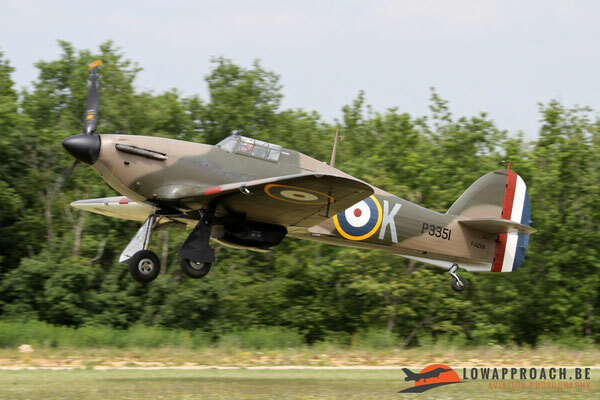 Off course the Germans were chased from French airspace over La Ferté by a group of more common Allied fighters, a Supermarine Spitfire, a Hawker Hurricane and a North American P51 Mustang. Next on the list of re-enactments at La Ferté-Alais is the Japanese attack on Pearl Harbor in 1942. 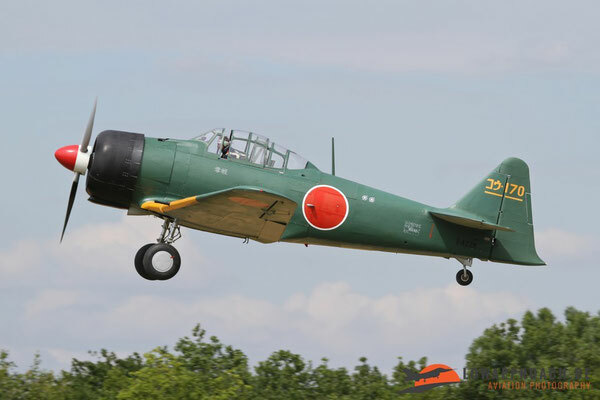 This year about 8 North American Harvards played the role of enemy aircraft, one of this aircraft was modified a few years ago to resemble exactly a Mitsubishi Zero fighter. 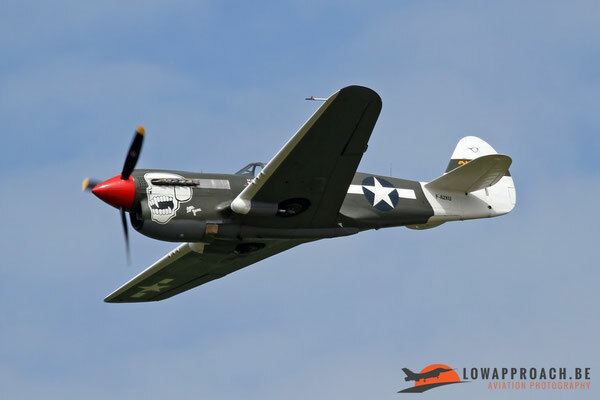 The only opposition against this Japanese attack is formed by a sole Curtiss-Wright P40, exactly as it was in 1942. 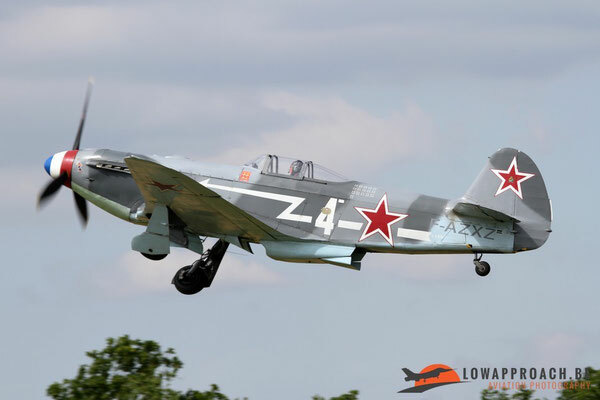 Another chapter of French aviation history is the fact that a group of French pilots joined the Russian Air Force in 1943 to fight against the Germans from the Eastern Front. 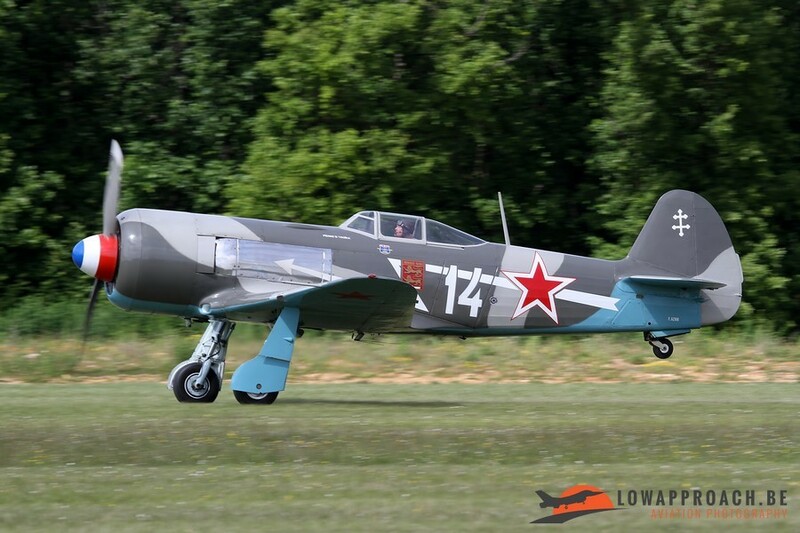 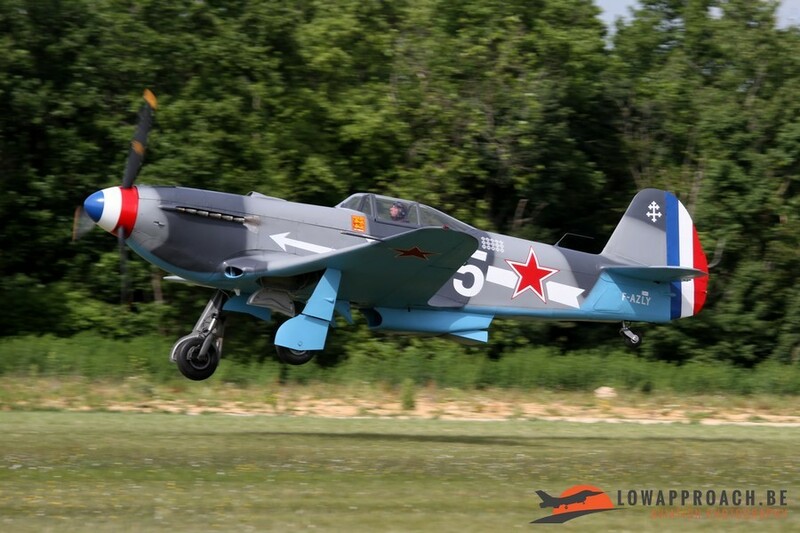 These pilots flew with Russian aircraft and La Ferté has a nice collection of these Yakovlev-fighters, a Yak11 and a couple Yak3UAs were displayed in the flying part this year. In between these aviation themed displays a series of better known displays are presented to the public. 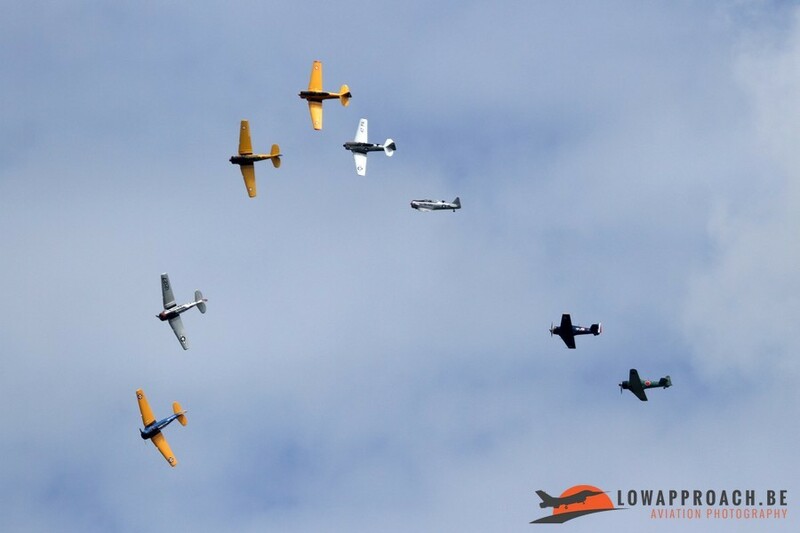 To name a few, the aerobatic display by the Red Bull MBB Bo105, a celebration dedicated to Boeing with 6 Stearmans and a Boeing 737 from Airpost, who certainly loved being at La Ferté, looking at the special markings on this aircraft. 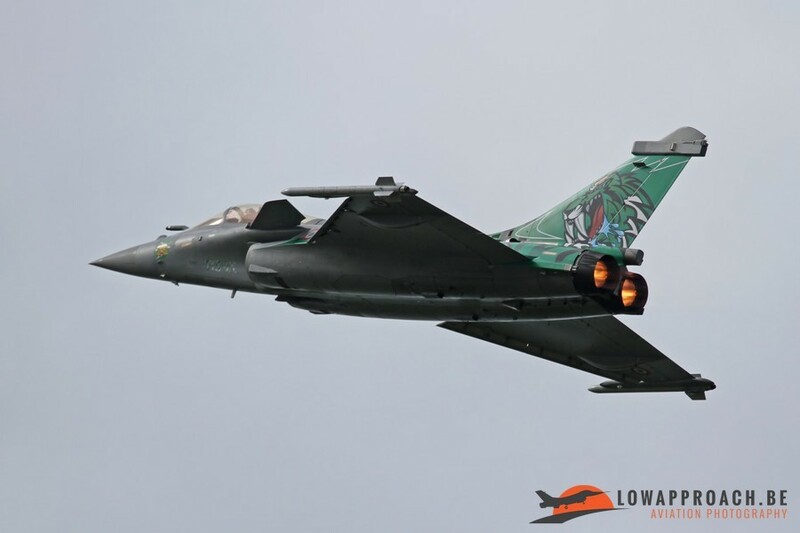 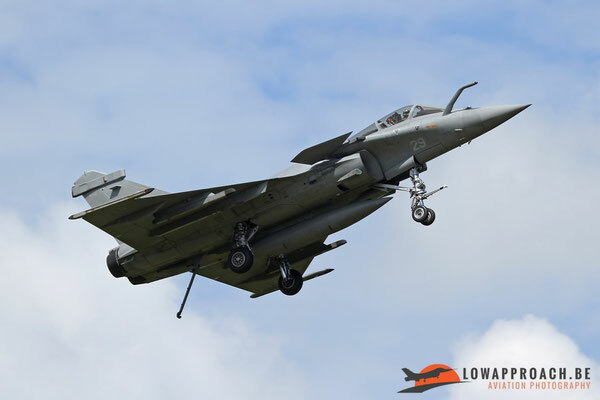 Off course there is also a participation of the French Armée de l'Air, this year with the Extra EA330SC of Ecole de Voltige and the Dassault Rafale demo from Escadron de Chasse 7 based at Saint-Dizier, wearing this years' NATO Tiger Meet special color scheme. Last historic display of the day is the War in Vietnam. 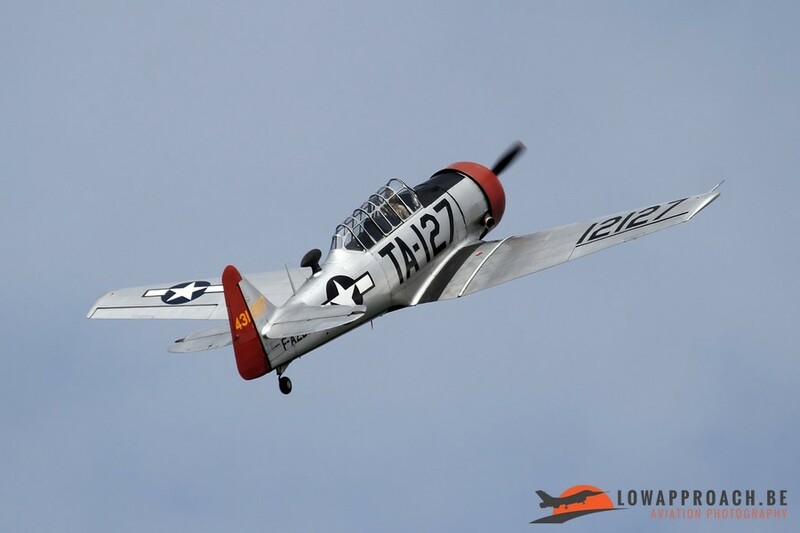 This year the display consisted of an attack by a Bell Jet Ranger and was followed by a formation of three Douglas Skyraiders demonstrating napalm bombing on the Vietnamese jungle all guided from a Forward Air Controller on board a Rockwell OV10 Bronco. 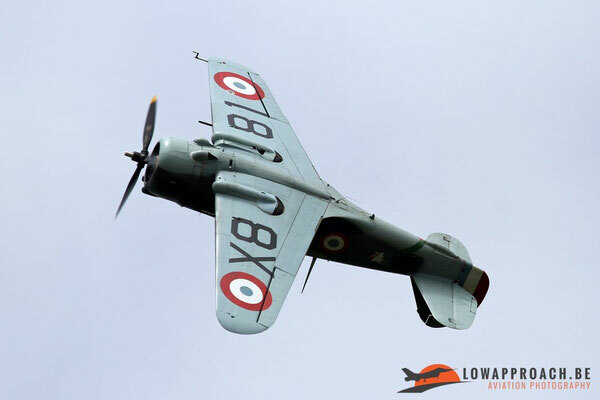 The airshow at La Ferté-Alais is one that every aviation enthusiast should visit at least once every so many years. 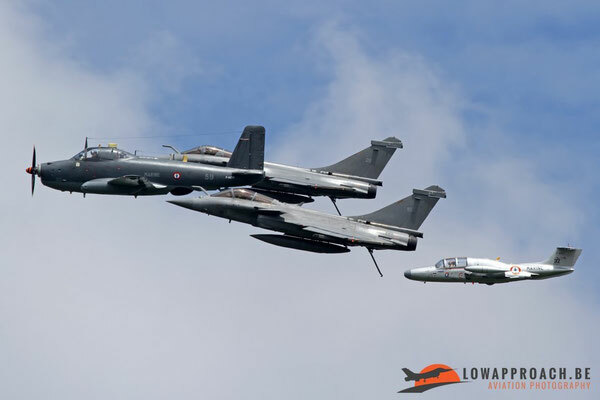 It's packed with action from some very unique aircraft, mostly based at La Ferté itself or France, this year only a few aircraft came from outside France participated. 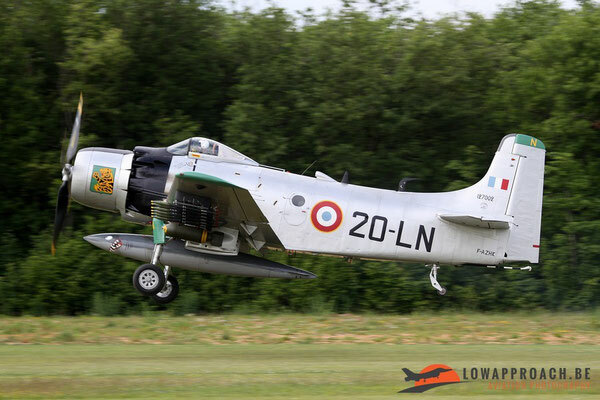 One must admit, that the French aircraft don't get outside their home country either, so if you want to see them, La Ferté is the place to be. 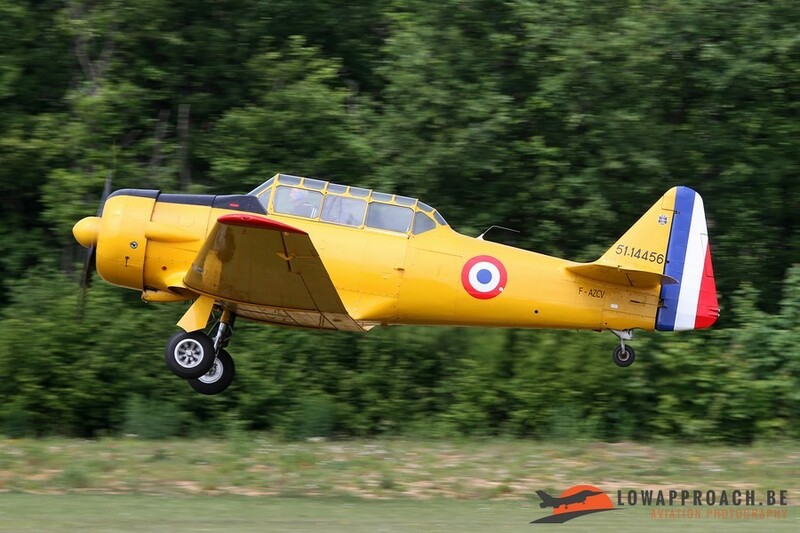 Photography at La Ferté is fairly straightforward, as said in the morning the aircraft can be photographed on the flight lines and during the display the aircraft taxi in front of the crowds before or after take-off (depending on the wind, which dictates in which direction the aircraft have to take-off or land). For the majority of the day the sun is in your back, so ideal for good shoots with sunny weather. This year we had a bit of clouds, but nothing major, so again I can conclude that it was a 'grand cru' edition, and I can't wait to pack my bag to visit the 2016 edition !